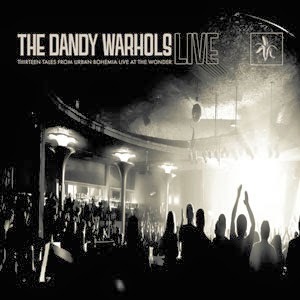 The Dandy Warhols are releasing their first-ever live album on March 25th. Thirteen Tales From Urban Bohemia Live was recorded last June in Portland on the 13/13/13 tour (13 date tour marking the 13th anniversary of the 13 track album Thirteen Tales From Urban Bohemia). The live album will be available on cd, double vinyl, and as a digital download - the vinyl version will include two bonus tracks.